I came across some interesting signs today that I'd never noticed before on the loading dock of the building next to my office. 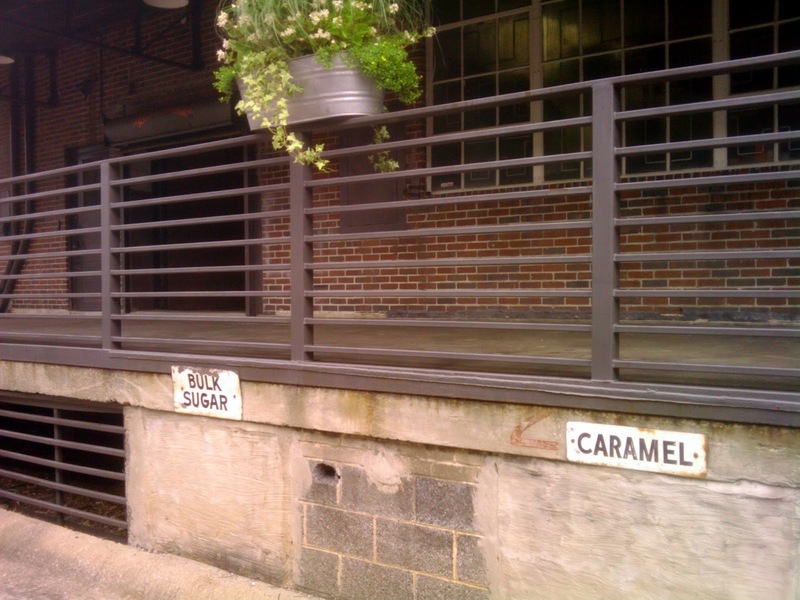 There were labels for "bulk sugar" and "caramel," and another faded, rusty sign (not pictured) was labeled "dextrose." I wasn't sure what the signs were for, but when I showed the photo to Misty, she knew immediately. They're ingredients for Dr. Pepper, since this is the old Dr. Pepper Building.